Quinoa is spiced with shallots and red pepper, then cooked with Portobello mushrooms and shredded zucchini. If zucchini is out of season, try incorporating shredded carrots or bell peppers for a different take on these innovative burgers. Chop the Portobello mushrooms into 1” pieces. Pulse the mushrooms pieces in a food processor until finely diced. Shred the zucchini and squeeze out excess moisture with a paper towel. 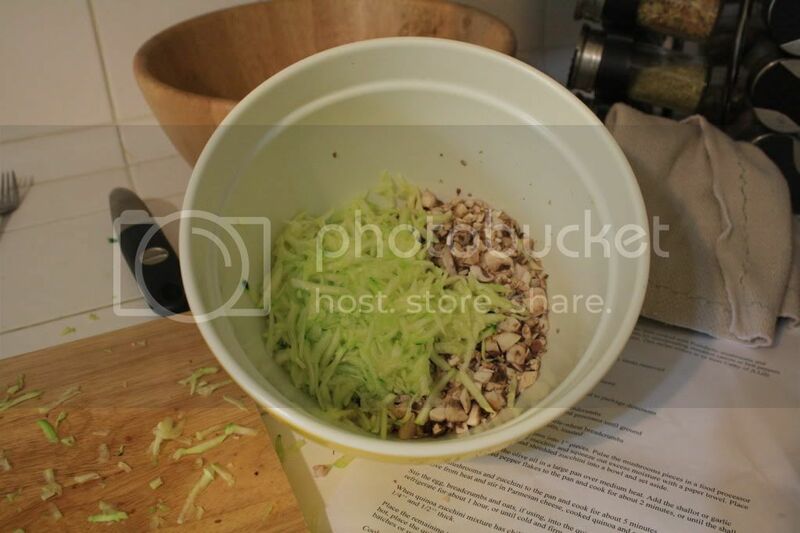 Place the chopped mushrooms and shredded zucchini into a bowl and set aside. Place 1 tablespoon of the olive oil in a large pan over medium heat. Add the shallot or garlic onion mixture and red pepper flakes to the pan and cook for about 2 minutes, or until the shallot begins to soften. Add the mushrooms and zucchini to the pan and cook for about 5 minutes, or until tender. 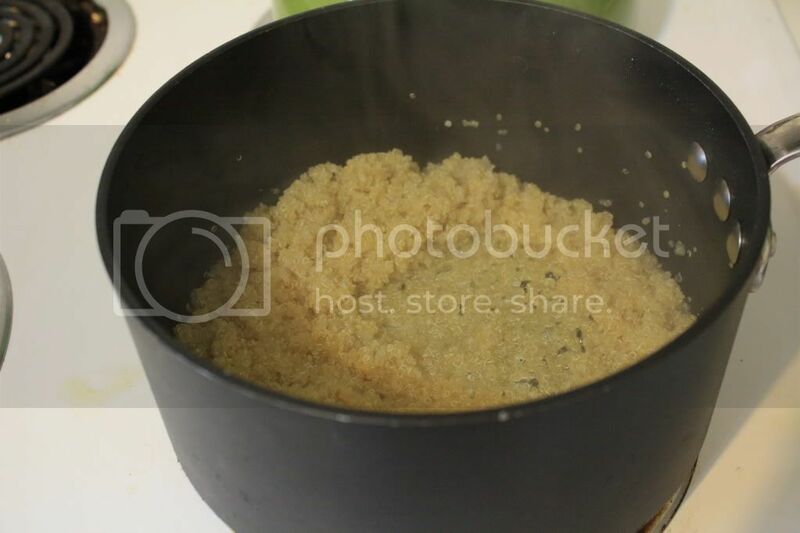 Remove from heat and stir in Parmesan cheese, cooked quinoa and salt. Let cool completely. Stir the egg, breadcrumbs and oats, if using, into the quinoa zucchini mixture. Cover and refrigerate for about 1 hour, or until cold and firm. When quinoa zucchini mixture has chilled, shape into small patties of preferred size, between 1/4’’ and 1/2’’ thick. Place the remaining tablespoon olive oil in a large skillet over medium heat. When mixture is hot, place the quinoa patties into the skillet in an even layer. You may have to cook them in batches or use 2 skillets. Cook the quinoa patties for about 3 minutes on each side, or until they are crispy on the outside and cooked through. Prepare with your favorite condiments (if any) and eat! Oh my goodness! 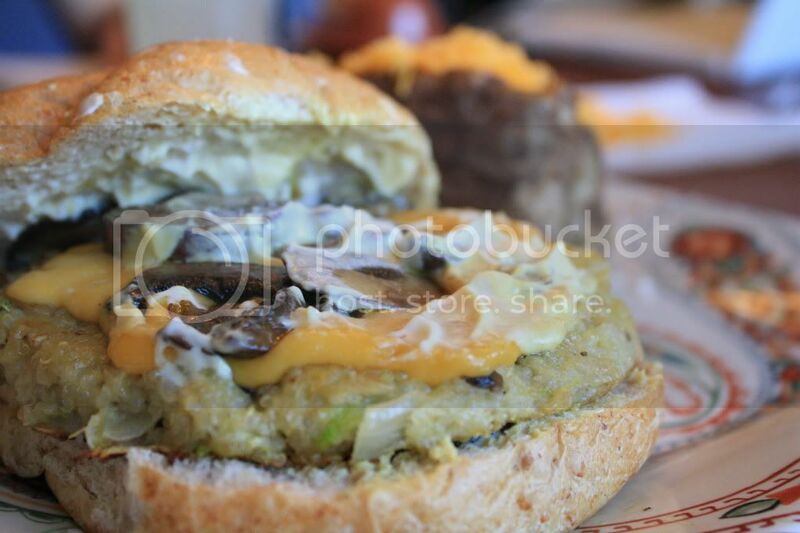 I have to try these, Last time I attempted a veg burger it went sooooo wrong, and everything was wasted, it fell apart. But these look worth a try!